Tickets are now on sale for the Belk College Kickoff Game! Secure your seats to watch the NC State Wolfpack and South Carolina Gamecocks kick off the college football season in Uptown Charlotte on Sept. 2. For more information about the big game, visit BelkCollegeKickoff.com. 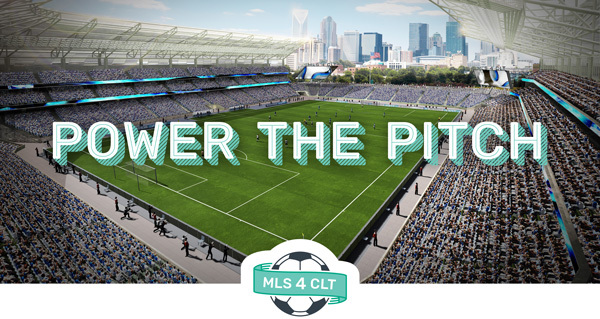 The MLS4CLT team recently launched a new website aimed at educating the community about its bid to bring Major League Soccer to Charlotte. Discover more about the organization's efforts, how a new sports franchise would benefit the city, and find out ways you can get involved.